Print this free Simvastatin Coupon to get the lowest price on your prescription medication. This discount drug coupon is pre-activated and can be used immediately to save up to 75% at your pharmacy. This coupon is accepted at over 68,000 pharmacies nationwide, including: Walgreens, CVS Pharmacy, Walmart Pharmacy, Rite Aid, Kroger, Kmart Pharmacy, and Safeway. Therapy with lipid-altering agents should be only one component of multiple risk factor intervention in individuals at significantly increased risk for atherosclerotic vascular disease due to hypercholesterolemia. Drug therapy is indicated as an adjunct to diet when the response to a diet restricted in saturated fat and cholesterol and other nonpharmacologic measures alone has been inadequate. In patients with coronary heart disease (CHD) or at high risk of CHD, simvastatin tablets can be started simultaneously with diet. Simvastatin tablets are indicated as an adjunct to diet to reduce total-C, LDL-C, and Apo B levels in adolescent boys and girls who are at least one year post-menarche, 10 to 17 years of age, with HeFH, if after an adequate trial of diet therapy the following findings are present: LDL cholesterol remains ≥ 190 mg/dL; or LDL cholesterol remains ≥ 160 mg/dL and There is a positive family history of premature cardiovascular disease (CVD) or Two or more other CVD risk factors are present in the adolescent patient. The minimum goal of treatment in pediatric and adolescent patients is to achieve a mean LDL-C less than 130 mg/dL. The optimal age at which to initiate lipid-lowering therapy to decrease the risk of symptomatic adulthood CAD has not been determined. 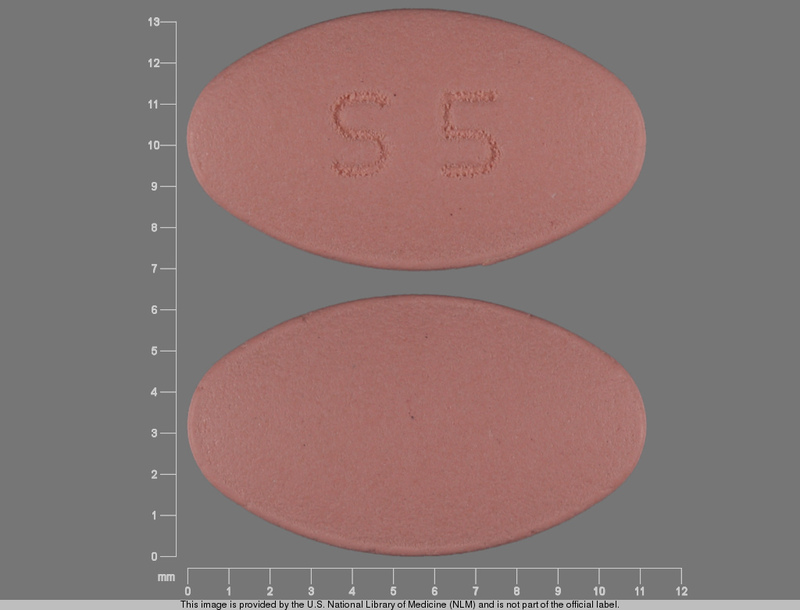 Simvastatin tablets have not been studied in conditions where the major abnormality is elevation of chylomicrons (i.e., hyperlipidemia Fredrickson types I and V). The usual dosage range is 5 to 40 mg/day. In patients with CHD or at high risk of CHD, simvastatin tablets can be started simultaneously with diet. The recommended usual starting dose is 10 or 20 mg once a day in the evening. For patients at high risk for a CHD event due to existing CHD, diabetes, peripheral vessel disease, history of stroke or other cerebrovascular disease, the recommended starting dose is 40 mg/day. Lipid determinations should be performed after 4 weeks of therapy and periodically thereafter. Due to the increased risk of myopathy, including rhabdomyolysis, particularly during the first year of treatment, use of the 80 mg dose of simvastatin tablets should be restricted to patients who have been taking simvastatin 80 mg chronically (e.g., for 12 months or more) without evidence of muscle toxicity. Patients who are currently tolerating the 80 mg dose of simvastatin tablets who need to be initiated on an interacting drug that is contraindicated or is associated with a dose cap for simvastatin should be switched to an alternative statin with less potential for the drug-drug interaction. Due to the increased risk of myopathy, including rhabdomyolysis, associated with the 80 mg dose of simvastatin tablets, patients unable to achieve their LDL-C goal utilizing the 40 mg dose of simvastatin tablets should not be titrated to the 80 mg dose, but should be placed on alternative LDL-C-lowering treatment(s) that provides greater LDL-C lowering. Concomitant administration of strong CYP3A4 inhibitors (e.g., itraconazole, ketoconazole, posaconazole, voriconazole, HIV protease inhibitors, boceprevir, telaprevir, erythromycin, clarithromycin, telithromycin, nefazodone, and cobicistat-containing products). Women who are pregnant or may become pregnant. Serum cholesterol and triglycerides increase during normal pregnancy, and cholesterol or cholesterol derivatives are essential for fetal development. Because HMG-CoA reductase inhibitors (statins) decrease cholesterol synthesis and possibly the synthesis of other biologically active substances derived from cholesterol, simvastatin tablets may cause fetal harm when administered to a pregnant woman. Atherosclerosis is a chronic process and the discontinuation of lipid-lowering drugs during pregnancy should have little impact on the outcome of long-term therapy of primary hypercholesterolemia. There are no adequate and well-controlled studies of use with simvastatin during pregnancy; however, in rare reports congenital anomalies were observed following intrauterine exposure to statins. In rat and rabbit animal reproduction studies, simvastatin revealed no evidence of teratogenicity. Simvastatin tablets should be administered to women of childbearing age only when such patients are highly unlikely to conceive. If the patient becomes pregnant while taking this drug, simvastatin tablets should be discontinued immediately and the patient should be apprised of the potential hazard to the fetus. Nursing mothers. It is not known whether simvastatin is excreted into human milk; however, a small amount of another drug in this class does pass into breast milk. Because statins have the potential for serious adverse reactions in nursing infants, women who require treatment with simvastatin tablets should not breastfeed their infants. Myopathy/Rhabdomyolysis: Simvastatin occasionally causes myopathy manifested as muscle pain, tenderness or weakness with creatine kinase (CK) above ten times the upper limit of normal (ULN). Myopathy sometimes takes the form of rhabdomyolysis with or without acute renal failure secondary to myoglobinuria, and rare fatalities have occurred. The risk of myopathy is increased by high levels of statin activity in plasma. Predisposing factors for myopathy include advanced age (≥ 65 years), female gender, uncontrolled hypothyroidism, and renal impairment. All patients starting therapy with simvastatin, or whose dose of simvastatin is being increased, should be advised of the risk of myopathy, including rhabdomyolysis, and told to report promptly any unexplained muscle pain, tenderness or weakness particularly if accompanied by malaise or fever or if muscle signs and symptoms persist after discontinuing simvastatin. Simvastatin therapy should be discontinued immediately if myopathy is diagnosed or suspected. Liver Dysfunction: Persistent increases (to more than 3X the ULN) in serum transaminases have occurred in approximately 1% of patients who received simvastatin in clinical studies. When drug treatment was interrupted or discontinued in these patients, the transaminase levels usually fell slowly to pretreatment levels. The increases were not associated with jaundice or other clinical signs or symptoms. There was no evidence of hypersensitivity. Endocrine Function:Increases in HbA1c and fasting serum glucose levels have been reported with HMG-CoA reductase inhibitors, including simvastatin. Elevated plasma levels of HMG-CoA reductase inhibitory activity increases the risk of myopathy and rhabdomyolysis, particularly with higher doses of simvastatin. Concomitant use of drugs labeled as having a strong inhibitory effect on CYP3A4 is contraindicated. If treatment with itraconazole, ketoconazole, posaconazole, voriconazole, erythromycin, clarithromycin or telithromycin is unavoidable, therapy with simvastatin must be suspended during the course of treatment. Cyclosporine or Danazol: The risk of myopathy, including rhabdomyolysis is increased by concomitant administration of cyclosporine or danazol. Therefore, concomitant use of these drugs is contraindicated. The risk of myopathy, including rhabdomyolysis, is increased by concomitant administration of amiodarone, dronedarone, ranolazine, or calcium channel blockers such as verapamil, diltiazem, or amlodipine. Cases of myopathy/rhabdomyolysis have been observed with simvastatin coadministered with lipid-modifying doses (≥ 1 g/day niacin) of niacin-containing products. In particular, caution should be used when treating Chinese patients with simvastatin doses exceeding 20 mg/day coadministered with lipid-modifying doses of niacin-containing products. Because the risk for myopathy is dose-related, Chinese patients should not receive simvastatin 80 mg coadministered with lipid-modifying doses of niacin-containing products. In one study, concomitant administration of digoxin with simvastatin resulted in a slight elevation in digoxin concentrations in plasma. Patients taking digoxin should be monitored appropriately when simvastatin is initiated. In two clinical studies, one in normal volunteers and the other in hypercholesterolemic patients, simvastatin 20 to 40 mg/day modestly potentiated the effect of coumarin anticoagulants: the prothrombin time, reported as International Normalized Ratio (INR), increased from a baseline of 1.7 to 1.8 and from 2.6 to 3.4 in the volunteer and patient studies, respectively. With other statins, clinically evident bleeding and/or increased prothrombin time has been reported in a few patients taking coumarin anticoagulants concomitantly. In such patients, prothrombin time should be determined before starting simvastatin and frequently enough during early therapy to ensure that no significant alteration of prothrombin time occurs. Once a stable prothrombin time has been documented, prothrombin times can be monitored at the intervals usually recommended for patients on coumarin anticoagulants. If the dose of simvastatin is changed or discontinued, the same procedure should be repeated. Simvastatin therapy has not been associated with bleeding or with changes in prothrombin time in patients not taking anticoagulants.